Guangzhou Peipei Promotional Products Co., Ltd. It is locate in Guangzhou of China.It is special manufacture all kind of promotional products such as: Pop up gazebo, folding tent, umbrella ,popup display, X banner stand, roll up banner stand, promotion counter, frame signs and so on. Also offer printing service such as: Printing, book, magazines, catalogue , gift box, Posters, calendar , paperbag and so on. Our factory has advanced equipments and excellent personnel management system. Since established, it has been providing best services and quality for many enterprises, the products are popular around the world and this keeps the company grow rapidly and steadily . 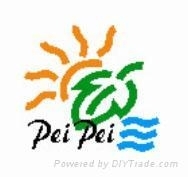 Peipei Promotional Products Co., Ltd. will advance with you!